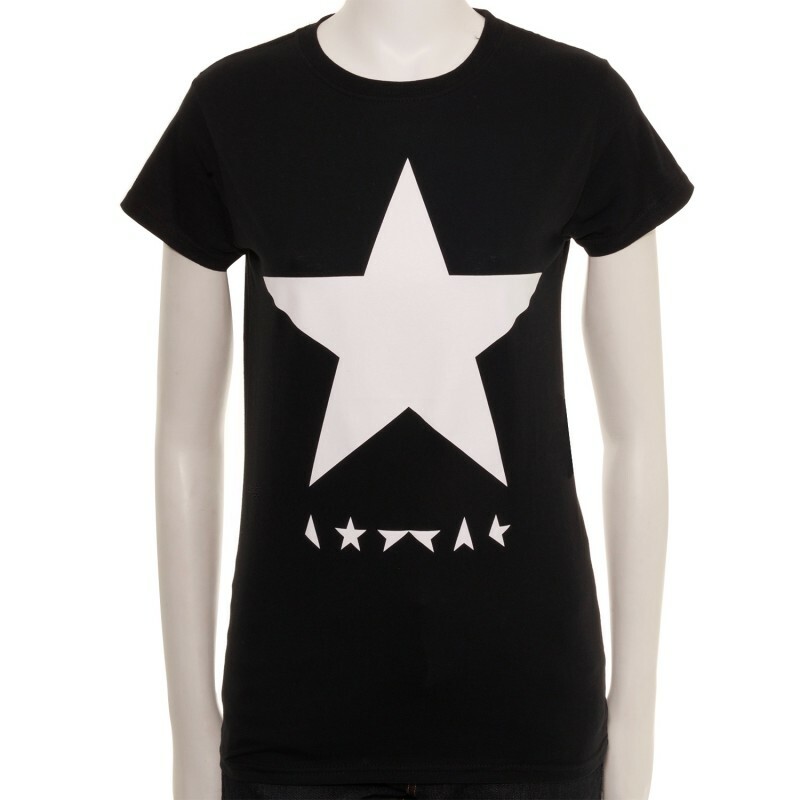 Licensed David Bowie women's black cotton, short sleeved, premium t-shirt, which features the David Bowie Blackstar (white star on black) design. This item runs small and are a slimt fit cut. We recommend ordering up by one - two sizes.